Woo hoo! Summer’s finally here! Um, ok, I’ll admit the current weather patterns would have us believe differently (I finally worked out what ‘low pressure’ means – it’s code for ‘weather will be PANTS!’). Anyway, we’re not going to let a little rain dampen our Summer spirits at Muddy Norfolk. 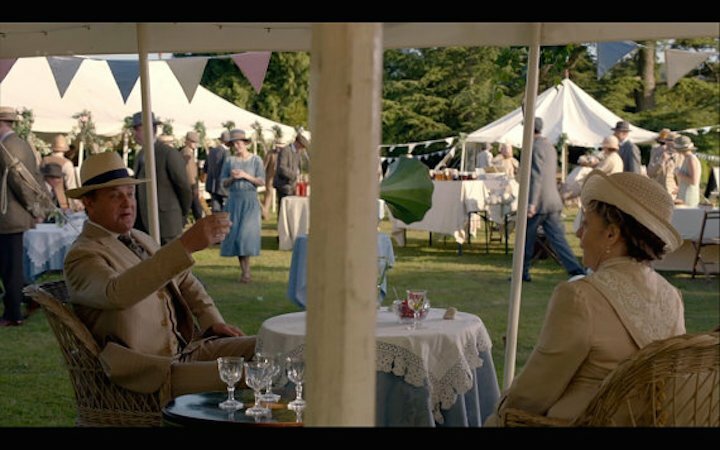 And July means weddings and summer garden parties, so it’s time to hoist the bunting! 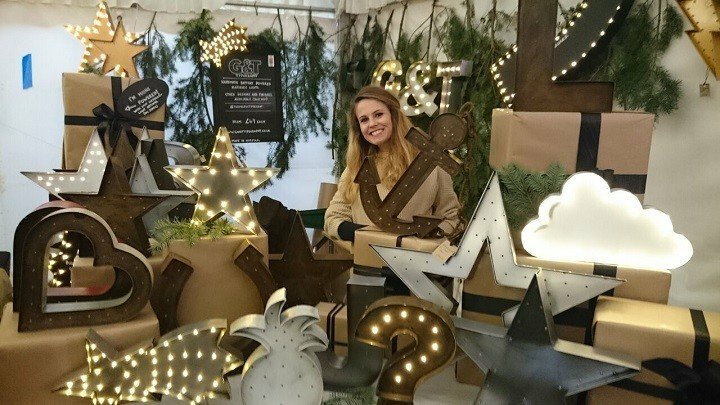 As luck would have it the brilliant Bunting Boutique just so happens to sell beautiful vintage bunting online. 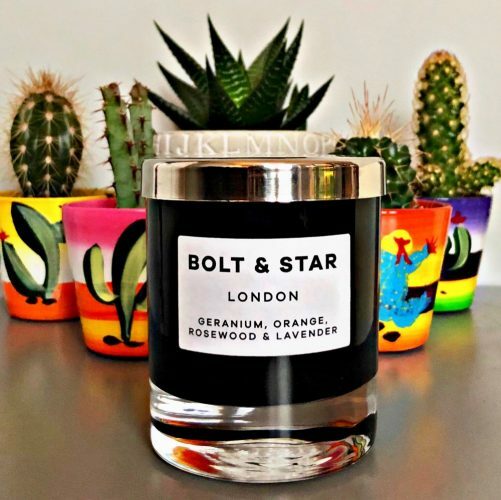 Check out these original one-off designs. 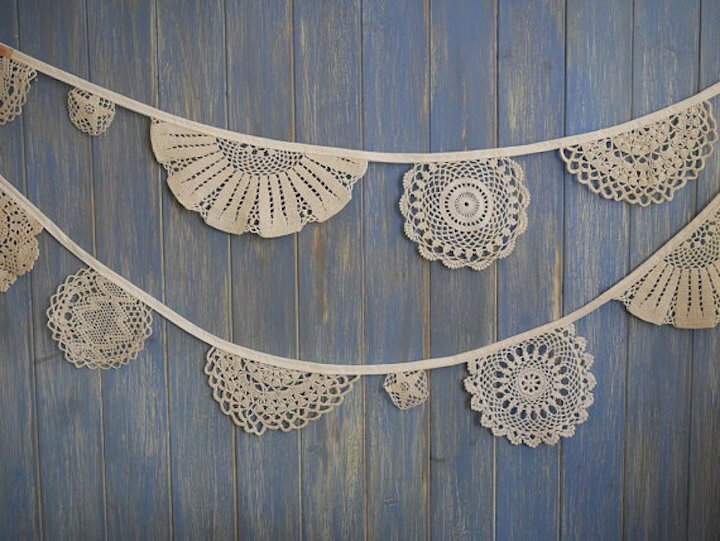 There are plenty of the standard floral designs in pennant shapes, but what caught Muddy’s beady little eye are the original creations made from vintage lace doiles such as these – perfect for weddings and anniversaries no? 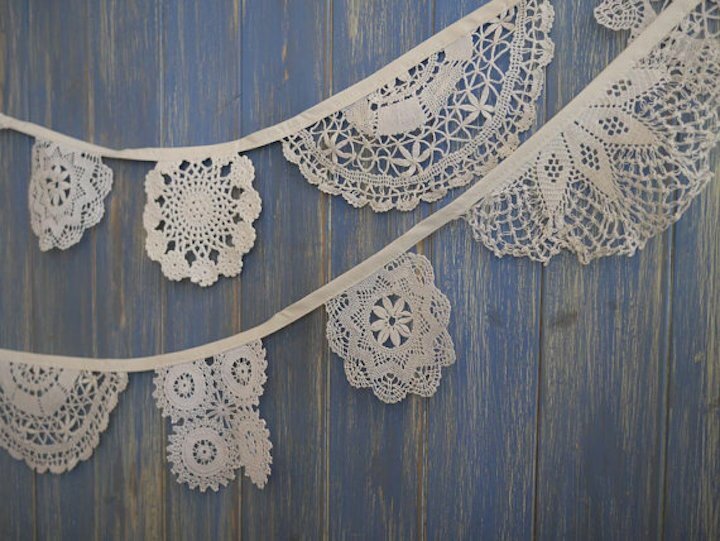 Vintage doily bunting, £38 for 4m. 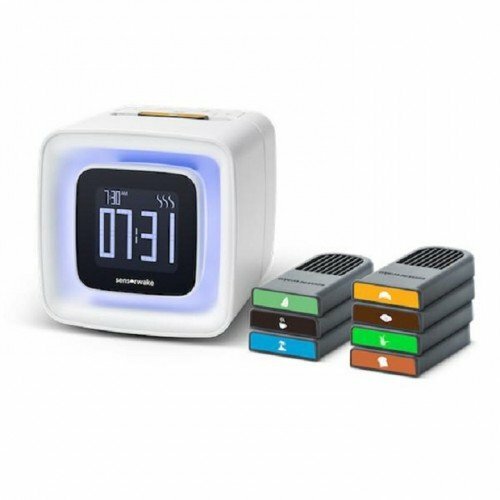 The coloured versions would be ideal for birthdays and other celebrations. 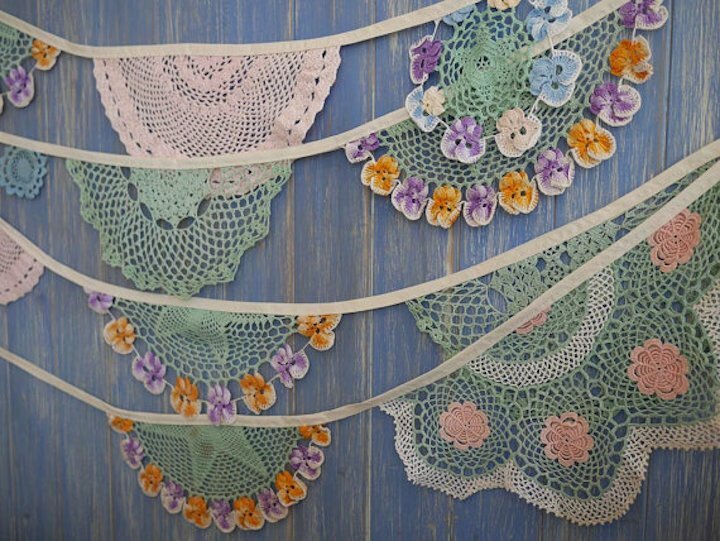 Vintage doily bunting, £46 for 5m. There are also summery designs made from vintage tablecloths which would also look gorgeous decorating a baby’s nursery or child’s bedroom. 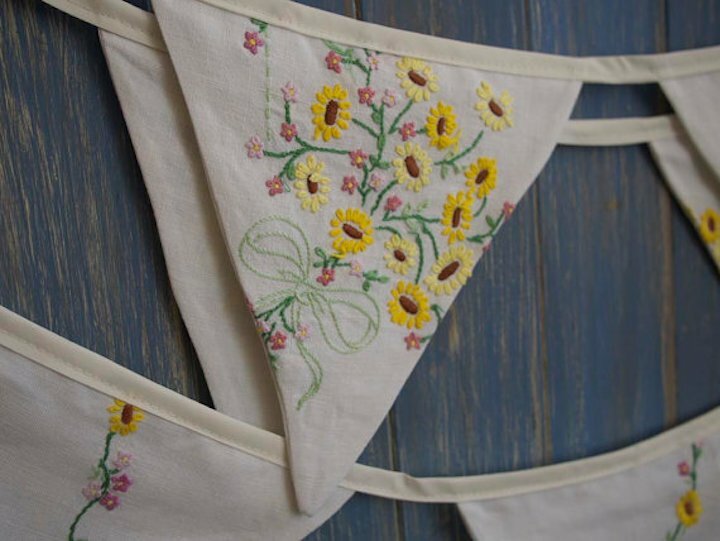 Vintage linen bunting, £26 for 4m. 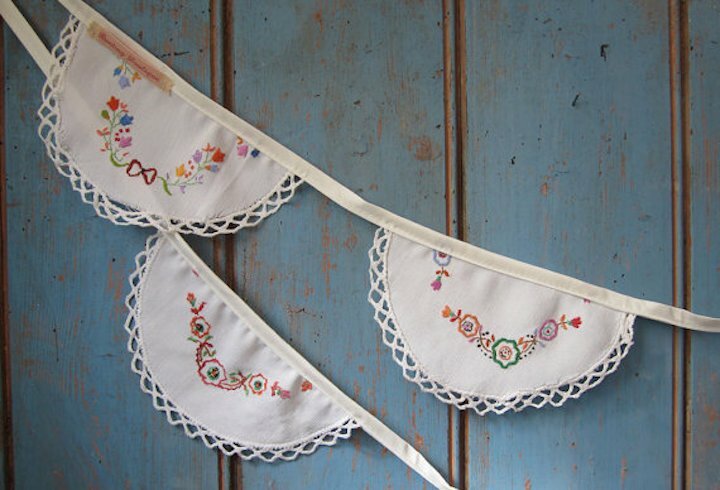 Vintage tablecloth bunting, £35 for 4m. As always with vintage designs, many pieces are one-offs so if you like something you see here, best bagsy that bunting super quick!